Peter Jackson spoke at the San Diego comic-con today, and he said that Howard Shore will be recording the score with the London Philharmonic Orchestra in about 5 or 6 weeks! I wonder how long it will take. 5 or 6 weeks is close to Hayley's concert in Wales, either before or after, so hopefully if she gets to sing for the soundtrack, everything will be timed right. But surely recording a score for a whole movie, maybe even both, would take more than a few days, so hopefully there'll be plenty of time for Hayley to record a song or 2. I'm trying not to get my hopes up too much about this (it's not working too well!). I keep trying to remind myself that if Hayley doesn't sing for the 1st movie, there's always the 2nd. And then Peter's even talking about a possible 3rd film (stuff they couldn't fit in the 2 movies, plus stuff in the appendices). And I'm still very excited about the movies with or without Hayley. I'm afraid I've gotten myself so obsessed with this possibility and worked so hard to make my requests known to Peter and now, finally Howard Shore. So, if Hayley's not involved at all, I'm afraid I'll let that ruin things for me. 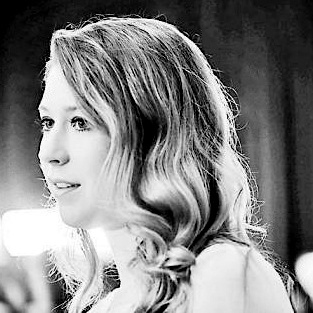 The music will be wonderful either way, and I'm sure he'll still choose really good singers, but I'll be very disappointed if all my efforts for Hayley go to waste. Oh well, like Elliot said once, if they don't choose Hayley, it won't be my fault. I've started following the LPO just in case they drop any hints about recording The Hobbit score. There's also hope they might start looking at The Silmarillion when The Hobbit does well. LOADS of possible films there! I've been looking forward to the "Hobbit" movie anyway. I believe it is due out in December. I didn't know that it's possible Hayley could be involved. That WOULD be way cool. I'll be crossing my fingers too. I crossed Lang Lang with a Boeing 747 and got a Jumbo that could tickle its own ivories! That's a shame about Silmarillion I was hoping they'd make Beren & Luthien next. That has huge film potential, IMO. Then there's the fall of Numenor... And Morgoth... SO many great stories! Still, the appendices do hold a ton of good stuff, it must be said. I don't think there's ever been a better world builder than Tolkien in all of fiction. Yeah! I never knew until recently that Liv Tyler and Miranda Otto both had singing parts in the film! These were in extended editions or deleted scenes, I think. The only way to hear some of the music is to get the complete recording albums. I've thought about buying them. Am still thinking about buying them. I might think about it a while before I finally decide to buy them. One disappointment for me, after the fact, was the scenes with Sam and Shelob. I read the books after seeing the movies. I just read the trilogy for the 2nd time, and when I read the parts about Sam and Shelob, I thought what happened there was way better here than in the movie. I actually put in my DVD and just played that scene, because I thought it was pretty exciting in the book. But when I played the movie, it didn't seem half as exciting! In the book, I think the whole ordeal took up a few pages, so obviously they had to shorten it. For example, I'm pretty sure it was actually Frodo who shined the glass at Shelob before he got stung, but they had Sam do it, as well as stabbing her with Sting (which he really did do). But since it was Sam who really fought off Shelob in the end, I guess they had to make him do something, even if it wasn't what he really did in the book. Also, after reading the main story, it was nice to find out the story about Aragorn and Arwen, because during the story, I was a little disappointed, thinking that Peter and gang must have made that part up. I was very glad to discover it wasn't made up at all, and wasn't nearly half the story! Oh, yes, James, it's certainly possible for Hayley to sing for the movies. 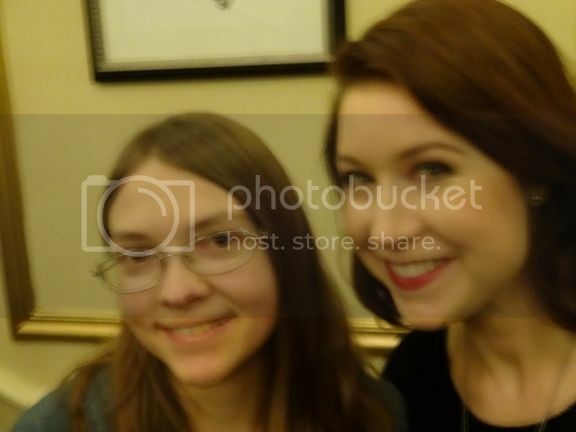 She just has to be asked by Howard Shore (the composer), who already knows who she is and had her sing for a few LOTR symphonies, back in 2004. And, I've written a letter to him and a couple to Peter Jackson about it. So, at this point, all that has to happen is for her to be asked, and be approved by Peter Jackson of course. And Peter respects Howard Shore well enough that he wouldn't pull a stunt like the director of The New World did. That's a whole story in itself, which I'm sure Richard would be happy to direct you to. I hope you're not too confused by all my rambling. And Peter respects Howard Shore well enough that he wouldn't pull a stunt like the director of The New World did. That's a whole story in itself, which I'm sure Richard would be happy to direct you to. You can read all about the New World 'soundtrack' HERE. SO much of the books had to be left out of the films, even the extended editions. But I have to say that the films did do some things better than the books, particularly the characterisation of Gimli and Legolas who are just kinda there in the books, and the Aragorn/Arwen romance which only actually appears in any detail in the appendix! I always found that a bit unsatisfying, as Aragorn pretty much bases his life around this woman he loves, but we never see why. He'd give his life for her and she does give up her immortality for him, which makes it one of the greatest love stories in literature - or should! Sadly, Tolkien seemed more interested in his grand sweeping myth than bringing some of his characters to full life. Unsurpassed as a world builder and creator of modern myth; not always great at writing people. Extended Editions are the only way to go with the films. They add so much that had to be cut from the cinema releases. Probably my favourite quote about the film runs roughly: "Liv Tyler is a far better actress in Elvish than she ever was in English." Funny, but I have to admit I do see the point! She's just great as Arwen! 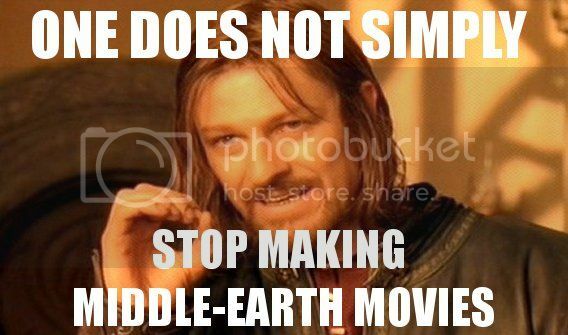 Have to agree with "One does not simply stop making Middle Earth films" Don't think they'll be stopping any time soon! I agree Taylor, but Hayley can't sing in a book! Audiobooks Martin, audiobooks. But you do have a point. What I wish is that the screenwriters would actually just make the book straight into a movie. Personally, I don't care if it's four hours long. That's what intermissions were made for!!!! But I think another reason the movie is not as good as the book, is bc if you read the book, you already think you know what the characters look and sound like, what the scenery is like, and all is exactly is exactly as it should be. To you, that is. Book is MOSTLY better than the film, but not ALWAYS, IMO. It's a very rare film that beats the book, though, of course. The extended edition of Lord Of The Rings runs somewhere around 9-10 hours and leaves out huge chunks of the novel. Return Of The King on its own runs for four hours (I just checked that one to be sure! ) and misses out lots of the book. Well, actually I am not a huge fan of Tolkien's stuff. Fairy tales for adults. But if Hayley was involved in a movie, I would certainly want to see it, if only for the music.